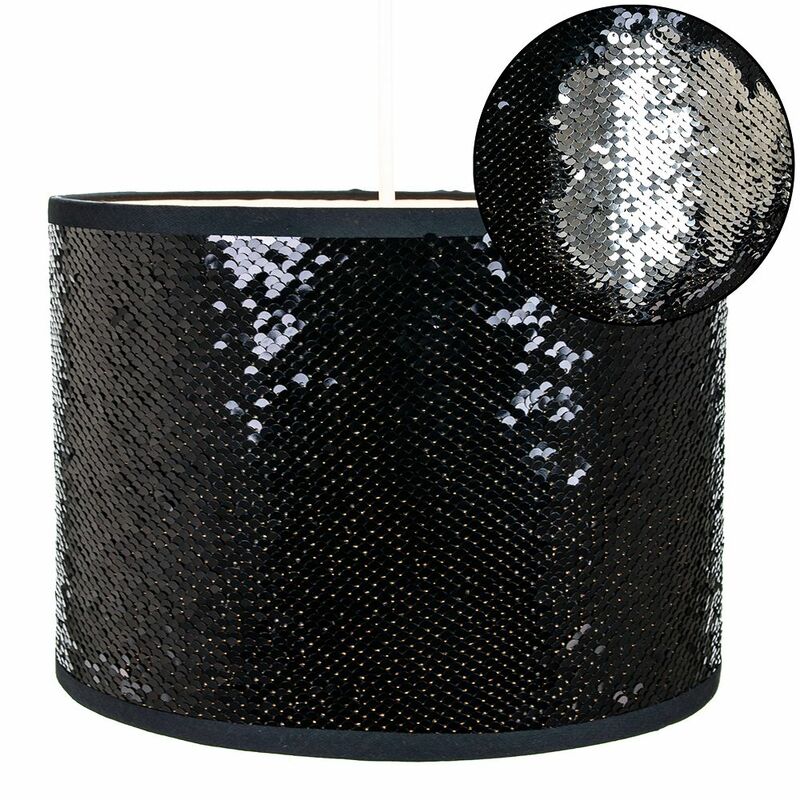 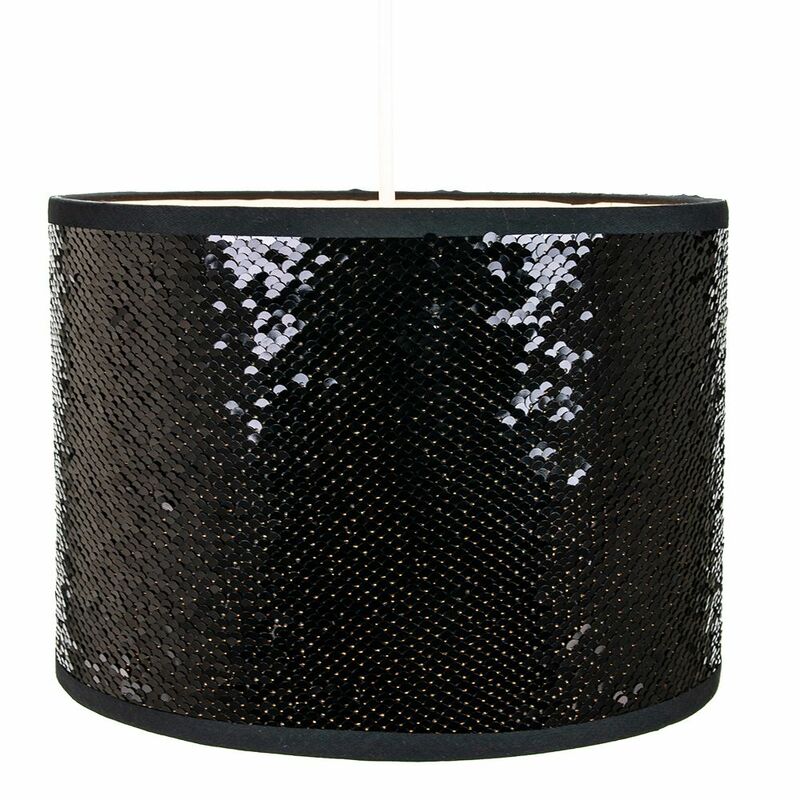 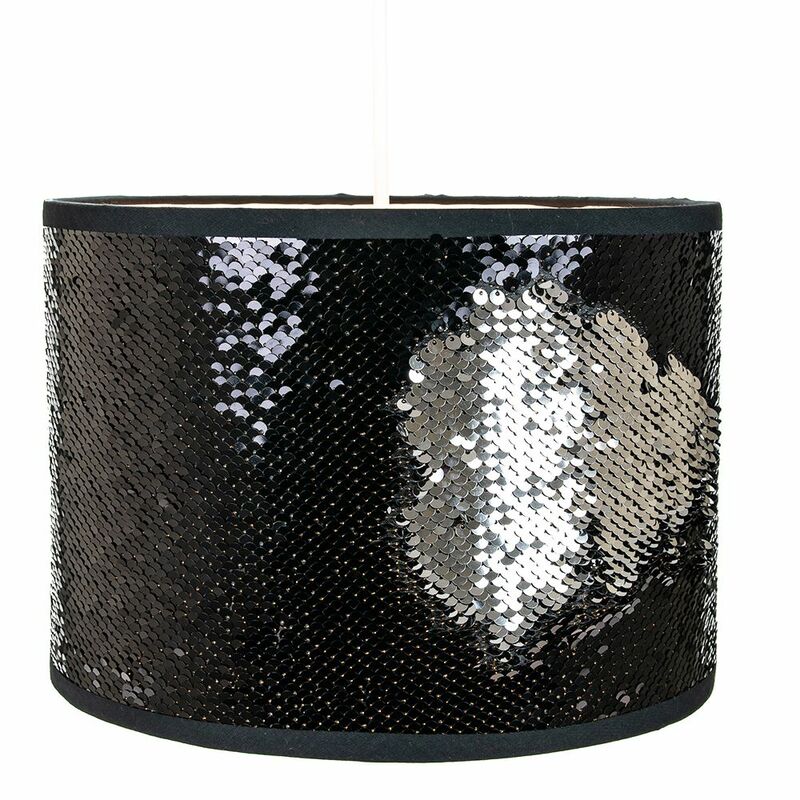 Features unique and eye-catching black and silver sequin fabric shade. 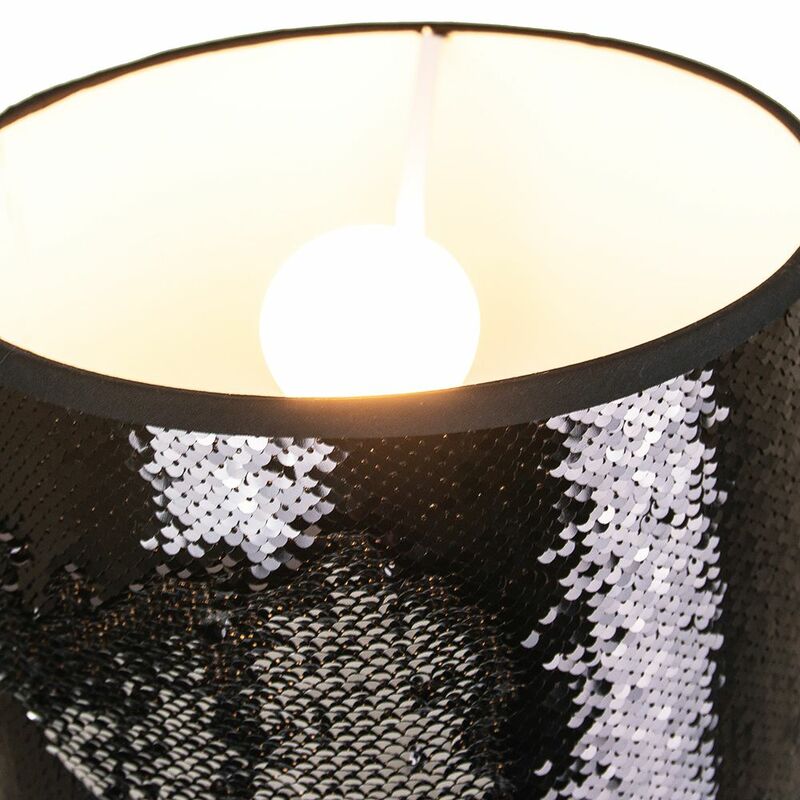 This can be used by brushing with your hands to make any shape desired or have it either as a complete silver sequin shade or complete black sequin shade. 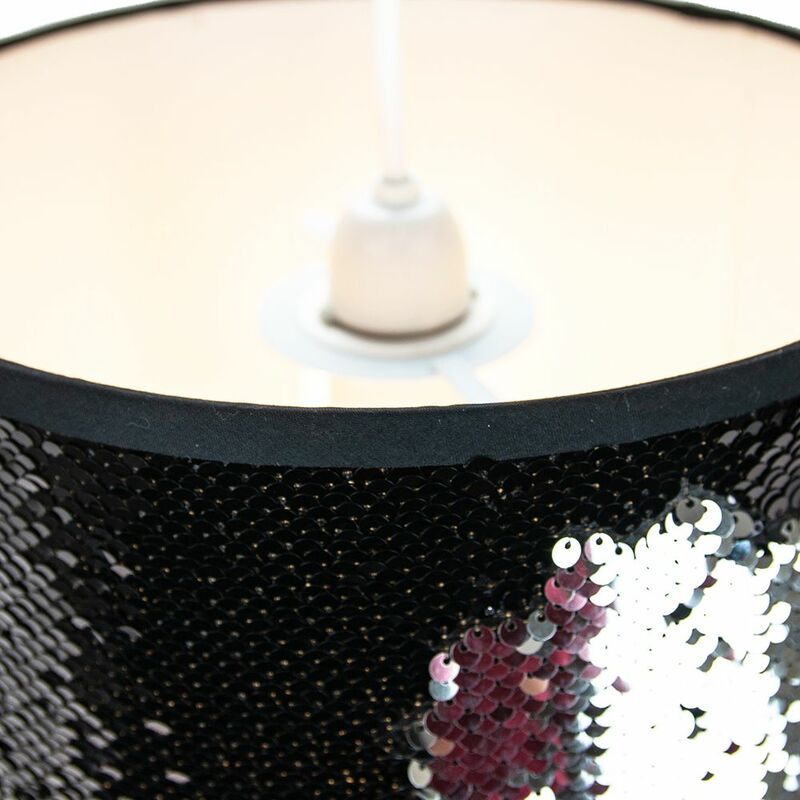 Very addictive to play with and we are guessing you will have a new look each day!